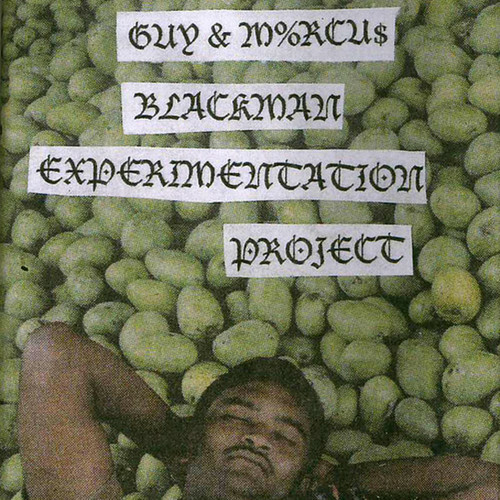 Following several live appearances around Melbourne as a duo, Guy Blackman and Marcus Rechsteiner have finally released their first cassette as The Guy & Marcus Experimentation Project. Entitled Country Pantry, it’s available through Hidiotic right now and features contributions from Moses and Al from UV Race, as well as the recording work of Geoffrey O’Connor. Due to Rechsteiner’s fairly prominent involvement it’s tough not to have UV Race in mind when listening to ‘Pantry Shelf’, and the subject matter certainly isn’t thematically unusual for Marcus: it’s about staring at the pantry shelf and doing nothing, feeling pretty unhappy about doing nothing, but at the same time not wanting to do anything. If ‘Pantry Shelf’ sounds pretty familiar though, other moments on the cassette don’t. Key highlights include the grainy synth wash of ‘Three Toothbrushes’, during which Marcus recounts a particularly grueling trip to Sydney (during which he lost three toothbrushes), and ‘Procrasturbation’, which is a very pleasant and minimal pop song about, again, doing nothing. A cursory listen to the tape suggests fans of R Stevie Moore and all he inspired will find love in this. The tape is currently available from Distort. You can stream the whole tape on the Guy & Marcus Bandcamp.